Our recent grant from First Book prompted us to ask our authors to reflect on why diverse books are important. 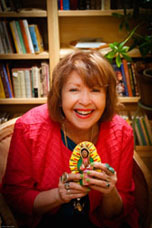 Guest blogger, author/poet Pat Mora, talks about witnessing the special connection Spanish-speaking children make with books that include their culture and language. “Once upon a time . . .” A magic phrase that can change our breathing. As far as we know, humans are the world’s story-telling creatures. Let’s think about the unique period in the lives of children when they begin to savor that phrase, when in fresh ways little ones are experiencing their surroundings and deciding where they fit. For many youngsters, media is their main source of information and entertainment. Children lucky enough to become readers discover that they can read those once-upon-a-time words to themselves—and others. They discover the pleasure and power of words. Since words and books are powerful, how can we doubt that the images of children, families, and cultures in their books have a subtle and significant impact on young readers and their families? Who merits having their stories shared and who doesn’t? How does it feel not to see people like you between the covers of beautiful books? Are all our books created and valued equally? In light of our grant from First Book we asked our authors to reflect on why diverse books are important. Guest blogger, author/poet Tony Medina talks about growing up in the projects without books and later as an author witnessing the true power of connecting multicultural books with children of color. As a child in the Throgs Neck Housing Projects in the Bronx, I did not grow up with books. The only person I saw reading was my grandmother, who occasionally read mass-market paperback fiction and her Bible that was as big as a phone book. If the Bible fell from the top of the dresser where she kept it, it could take your kneecap off and crush your foot in the process! The only time I recall being exposed to children’s books was at school when the teacher took us to the school library and the librarian allowed us to take out Curious George books. 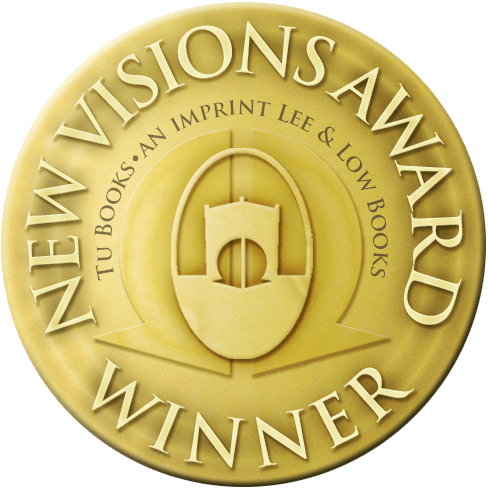 In light of our recent grant from First Book we decided to ask our authors to reflect on the idea of receiving one’s very first book. Guest blogger, author Joseph Bruchac talks about the influence books have had on his life and the continued importance of books in the lives of children today. What does a book mean to a child? A book all his or her own? I can’t remember a time when I didn’t have books. I was raised by my grandparents in a house full of books that belonged to my grandmother. I loved to pull the books off the shelves and look through them, even when I didn’t understand most of the words. But what meant the most to me was having my own books. It wasn’t easy to get books when I was a child. This was long before Borders, Barnes & Noble, and ordering books online. We lived in a small rural town, far from the nearest bookstore. One of the most exciting things for me was when my grandmother drove me to Glens Falls, twenty miles away, where there was a bookstore with a small children’s section. For the two dollars saved from my monthly allowance, I could buy a book—usually about nature—such as one of those in the Old Mother West Wind series by Thornton W. Burgess. All the way home I’d sit in the back of our old blue Plymouth, clutching that new book, eager to open its pages and be lost in the world it created for me.